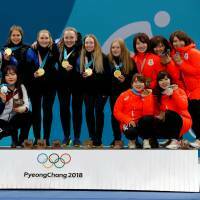 Gangneung, South Korea - The South Korean women’s curling team ended their fairy tale campaign at the Pyeongchang Winter Olympics with a silver medal, falling to heavyweight Sweden 8-3 in Sunday’s final. Riding a wave of popularity that swelled as the games progressed, the “Garlic Girls,” as they are known for the garlic grown in their hometown, defied odds to defeat other curling giants Canada and Switzerland on their way to giving South Korea its first podium finish in the sport. But despite the deafening cheers of “Dae Han Min Guk! (Republic of Korea! )” at Gangneung Curling Centre, skip Kim Eun-jung, whose horn-rimmed glasses and steely gaze have captured the home fans’ hearts, and her crew were outclassed by Sweden from the outset and conceded after the ninth end. “We had a chance to beat Sweden in the final today, but as we all know, Sweden is a great curling team,” Kim said. 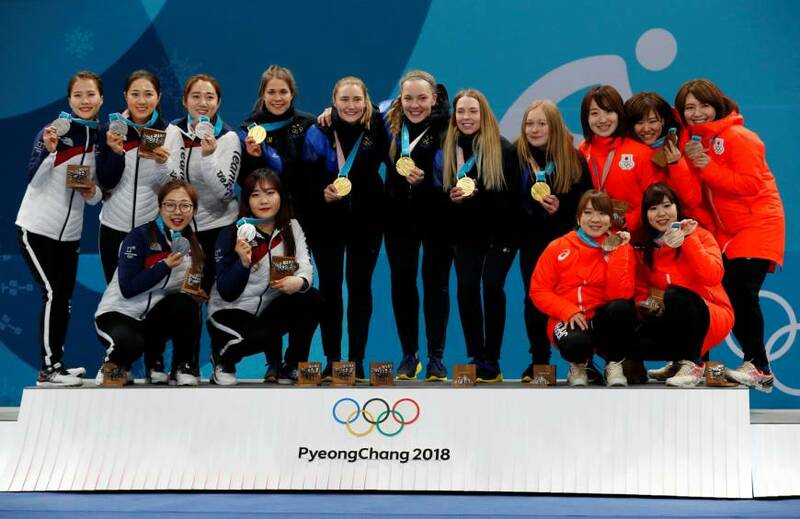 Sweden added to its Turin and Vancouver golds and Sochi silver to become the most successful women’s curling team since the sport became part of the Olympic program at the 1998 Nagano Games. Kim opened the scoring for the South Koreans, but Sweden drew its hammer to the button for two points in the third end and stole a point each over the next two for a 4-1 lead in the first half of the 10-end match. South Korea answered with a point in the sixth end but Hasselborg’s precision takeout in the seventh gave Sweden another three points and all but sealed the Garlic Girls’ fate. “At the beginning of the game, whatever we did, shot by shot, they tried to protect it. Today’s game, they owned it. Sweden was perfect today,” Kim said. It was the South Korean women’s only loss at these games other than a narrow defeat in the preliminary round robin to Asian neighbor Japan, which won the bronze in Saturday’s matchup with Great Britain.